Description: Upload your own photos and add personalized wishes on this Happy Birthday Card. 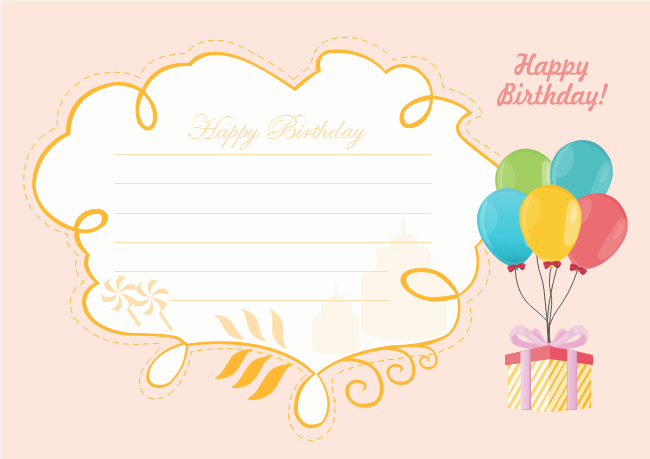 The happy birthday card template allows you to edit to your liking. If you don't like this template, you can design a new birthday card on your own with a large collection of vector birthday elements and cliparts in the Card Maker.